This week has seen much frantic endeavour and painstaking crosschecking as we strive to complete and launch a new website for fledgling property developer, Seagate Homes. Briefed at the end of 2010 to provide Seagate with a state of the art online presence which would stand comparison with the best offered by larger and long-established competitors, JWDC adopted the approach of introducing a striking Feature Image Carousel for each section. These carousels offer the viewer an overview of all that’s important when choosing a new home: style, location, surroundings, character and quality of finish, inside and out. 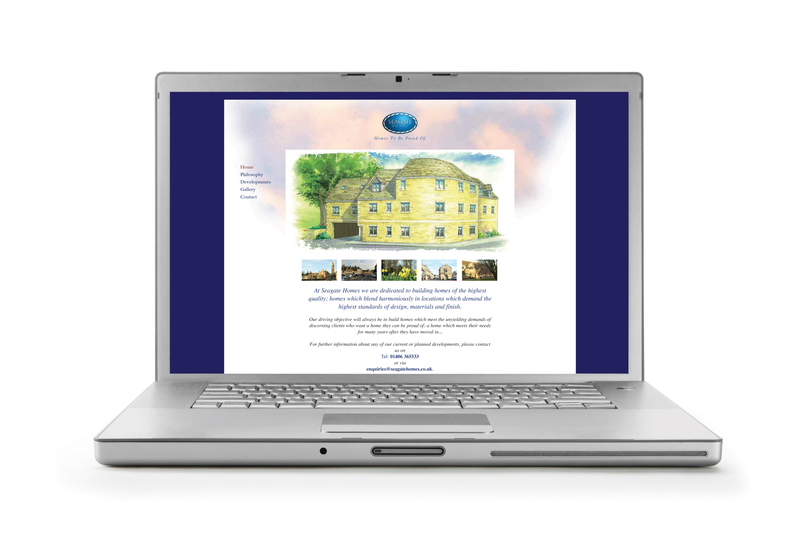 With a select portfolio of properties in highly sought after locations at present, the website has been designed with expansion in mind as the company continues to grow month on month with more developments being undertaken. The Developments section will provide in-depth information relevant to individual properties across Lincolnshire, Norfolk and Cambridgeshire and viewers will have the ability to view & download brochures and view Site Plans, Floor Sets and Elevations. Plans are already afoot to increase the level of information available to viewers on those pages which are specific to each development. Phase II of our involvement will see us introduce such as pop-up Drawings, Elevations and Schedules and once building is complete the intention is to feature streaming video content so that visitors can take a virtual tour of the space and finishes from the comfort of their own armchair.